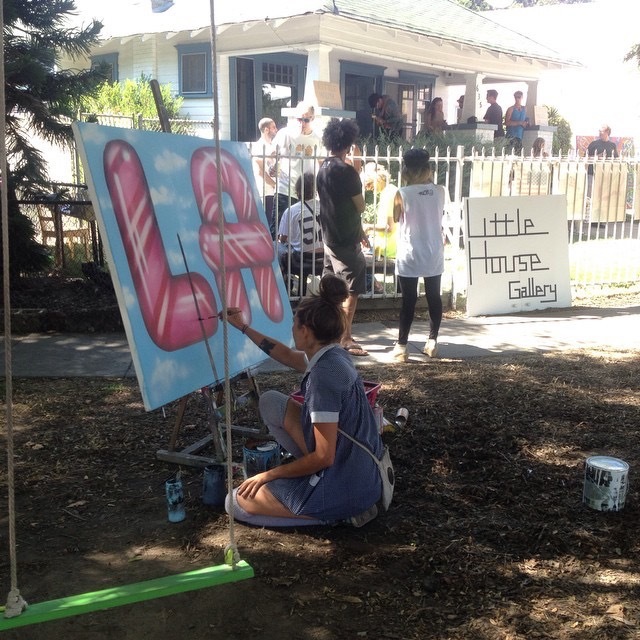 Great to see so many artists, musicians and neighbors at our 'Open Air Gallery' during Ciclavia this past weekend. Thanks to everyone for coming out! Featuring artwork by: Jeanette Degollado, MX Farina, Nicola Goode, Tracee Johnson, Kevin Linehan, Amelie Moon, Lauren Over, Saule Piktys, Ryan "Lazer" Wade, Rohitash Rao and Jules Muck. Music by: Noelle Koeppe, Connor Conan, Jake & Jesse, Paul and Mike Meanstreetz.